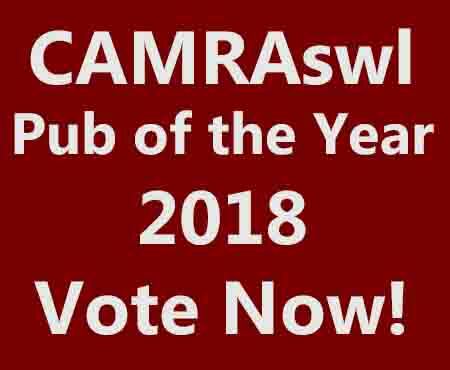 The CAMRA SW London Pub of the Year 2018 vote is now on. Voting closes on Sunday 10 February 2019. All CAMRAswl branch members have a vote and every vote counts so use yours. 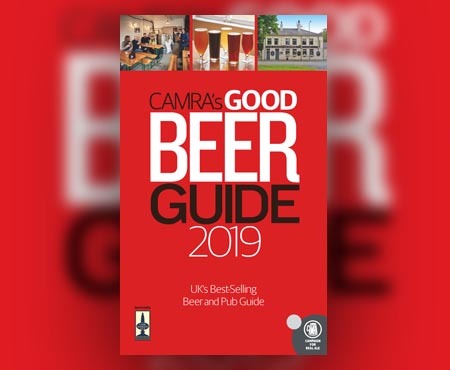 The CAMRA Good Beer Guide 2019, published on Thursday 13th September 2018, is fully revised and updated. The 46th edition includes 4,500 pubs and a comprehensive breweries section. CAMRA's Pubs Matter Campaign aims to close planning loopholes which allow pubs to be converted to other uses, or even demolished, without planning permission or local community consent. 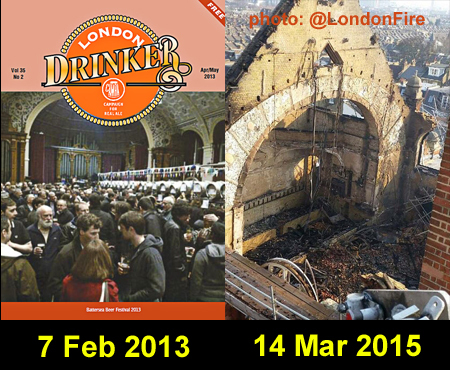 The long term venue of our annual Battersea Beer Festival, Battersea Arts Centre, suffered a major fire on Friday 13th March 2015. The extensive renovations and rebuiding programme mean No Battersea Beer Festival before 2019 at the earliest. See wandlebeerfestival.uk for more or find us on facebook WandleBF/ or follow us on Twitter @WandleBF. We list here planning applications that threaten the future of pubs in the South West London branch area. At the present time there is none on which it is still possible to comment. It is most important that local residents especially post objections if the plans are to be refused. The main CAMRA website includes advice on planning applications, and a link to it is here: Dealing with Planning Applications. The CAMRA LocAle initiative is the accreditation scheme to promote pubs that sell locally-brewed real ale, reducing the number of ‘beer miles’ and supporting local breweries. Several pubs in our area have LocAle accreditation. This entails a pub permanently stocking at least one real ale produced within thirty miles of the pub. For more information and a list of accredited LocAle pubs in our area see our LocAle page. The National Inventory is CAMRA's pioneering effort to identify and protect the most important historic pub interiors in the country. It has always been part of the campaign's mission to not only save real ale but also Britain's rich heritage of pubs. See www.heritagepubs.org.uk. Read the online Obituaries [https://camraswl.org.uk/obits] for some CAMRAswl stalwarts who have passed on. 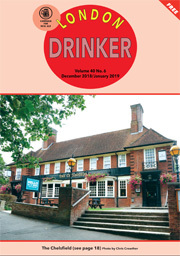 The December 2018 / January 2019 edition of London Drinker is available online and in the usual outlets. Click the cover image above to download a pdf version (56 pages - 11.80MB). 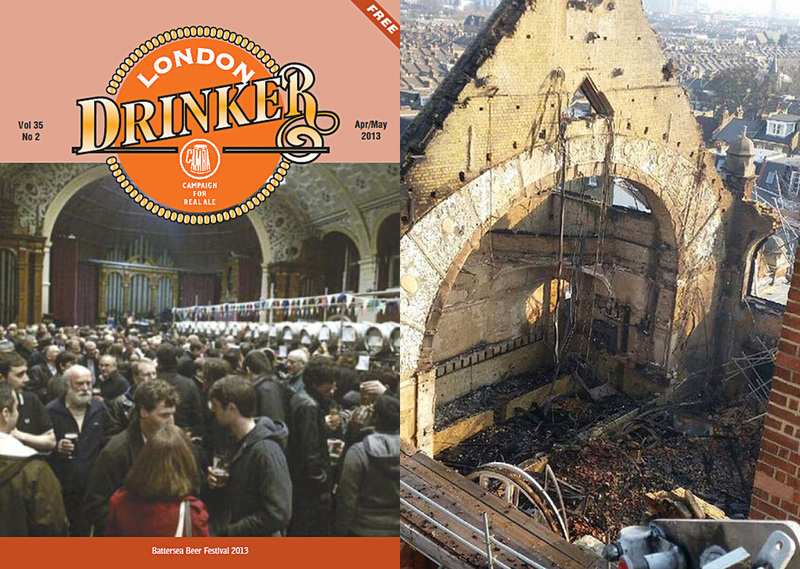 All Previous editions: London Drinker Archive. We ask all pub lovers to go to fairdealforyourlocal.com/ and sign up as a supporter. It only takes a couple of minutes. Those on Facebook should also Like the Facebook Page.